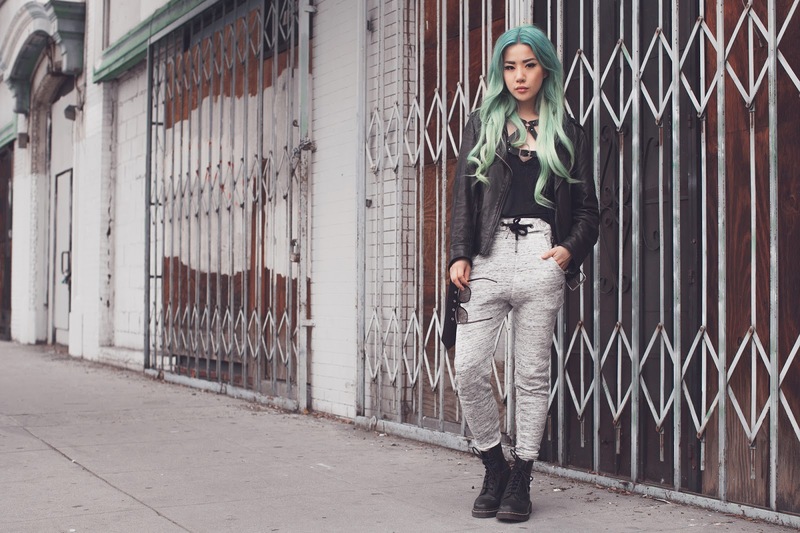 Loungewear doesn't always have to equate looking lazy. Here we have basically the entirety of my wardrobe for my UK trip, save for a white tee and a pair of black jeans (anything more than that that you saw, I acquired the last leg of my trip as gifts from showrooms). I arrived with the clothes on my back and a backpack. Naturally, I had to ensure I wore the most comfortable and versatile clothing possible. OnePiece has the market cornered on not only their trademark, namesake onesies, but also a ton of other basic loungewear. This hoodie and these sweats were comfortable yet fly enough to take me from airport to airplane to adventuring to bed...and repeat (hey don't judge me, I was backpacking!). They'll definitely be on par for your lifestyle, too. Awesome style do you have! You always manage to make every outfit so amazing. 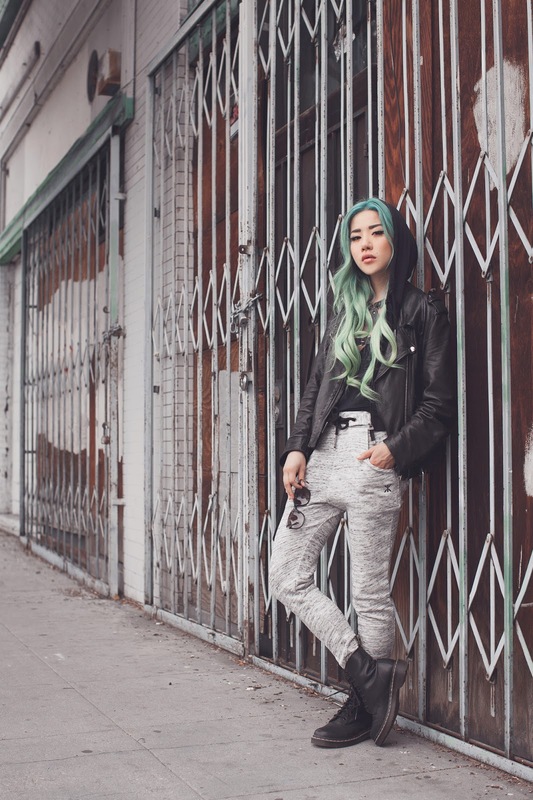 Such a casual edgy look. You always look so good! 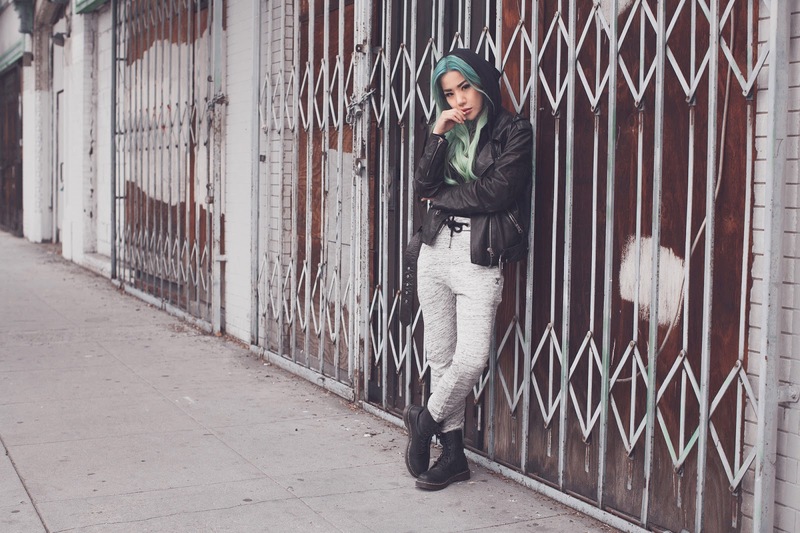 Perfect blend of cool and grunge. 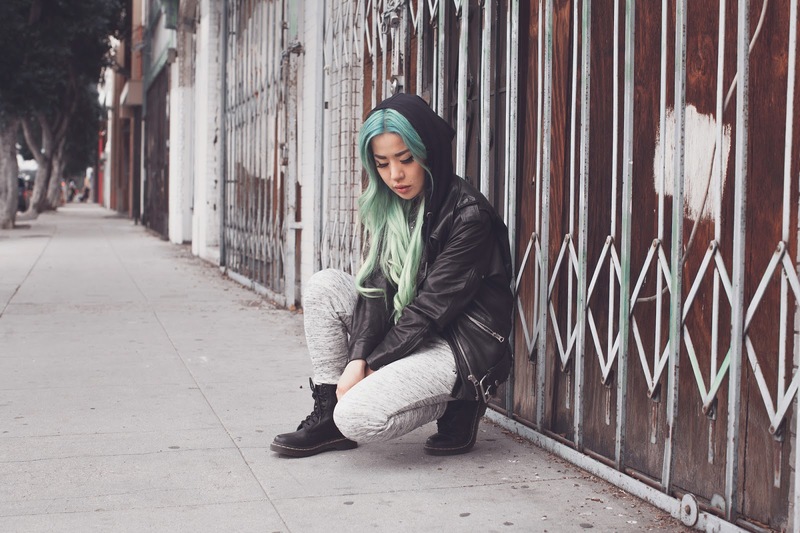 These loungewear pants are perfect on you-- especially with a black hoodie + docs! Love it for June Gloom! I love your look, wish I could pull it off! Those sweatpants look so freaking comfy! 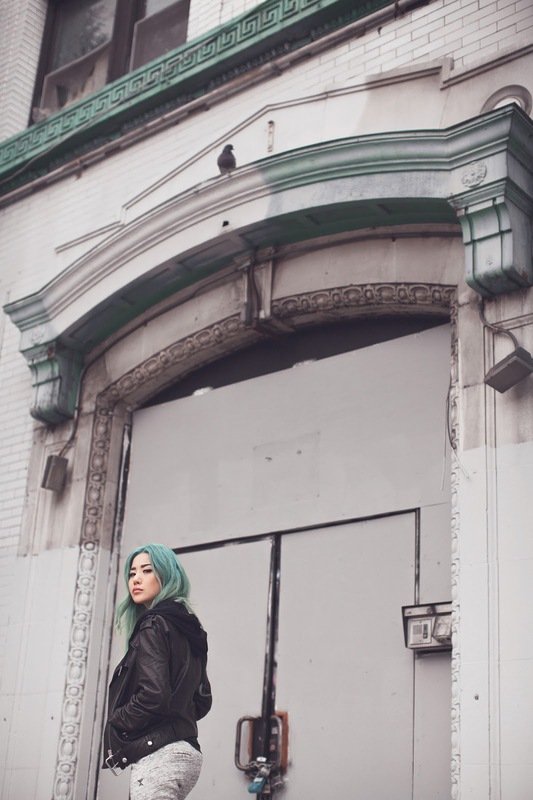 Haha this is a "I was watching Neflix in bed all day, threw on my leather jacket to get some food, found a cool wall to take photos against" look. Love it. 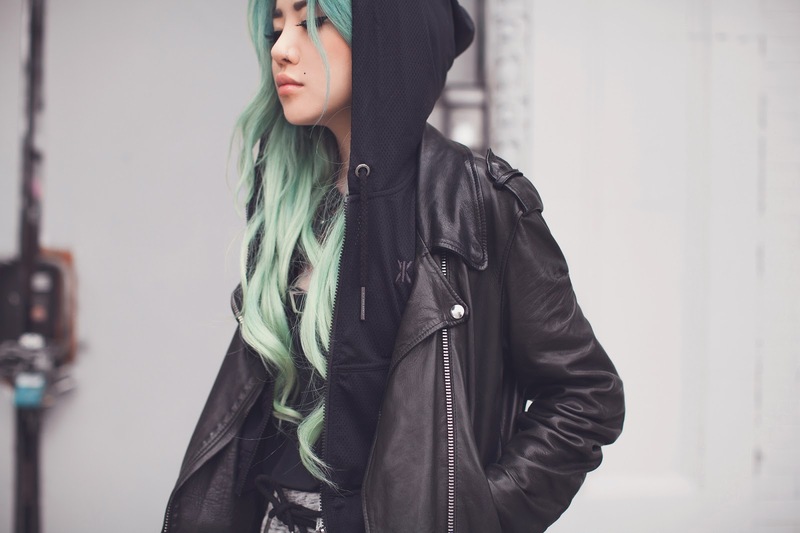 I would definitely wear this look! It is perfect for just relaxing or going out.